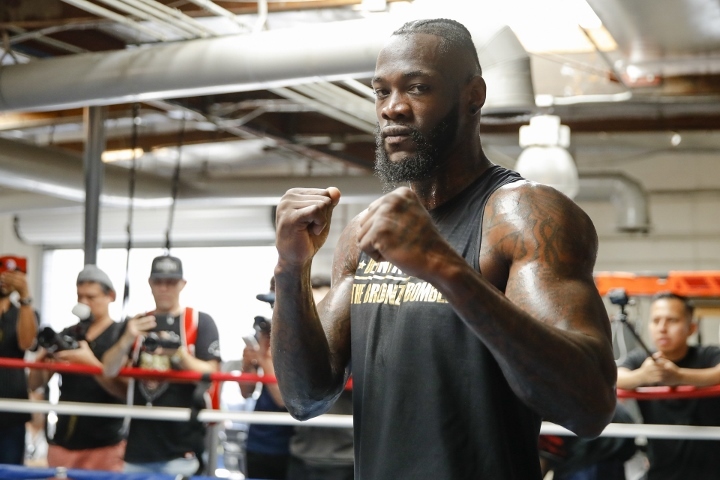 On Tuesday, WBC heavyweight world champion Deontay Wilder will officially announce the ninth defense of his World Boxing Council title. Wilder will defend the title against mandatory challenger Dominic Breazeale on May 18 at the Barclays Center in Brooklyn. The fight appears likely to land on Showtime Pay-Per-View, after streaming service DAZN made an aggressive effort to sign up the boxer to a multi-fight agreement. At the moment the heavyweight division has become a complex web, with the three biggest names aligned with rival networks. Tyson Fury, who fought Wilder to a controversial draw in December 2018, has signed on with Top Rank and ESPN. IBF, IBO, WBA, WBO world champion Anthony Joshua is fighting under DAZN, who have an exclusive deal with his promoter Eddie Hearn of Matchroom. And Wilder is under the Premier Boxing Champions banner, who have deals with Fox Sports and Showtime. But Wilder's co-manager, who previously guided top heavyweights like Mike Tyson and Wladimir Klitschko, expects the big fights to happen - despite the network affiliations. "It was like this in the time of Mike Tyson," Shelly Finkel, Wilder's co-manager told Telegraph Sport. "Complex and complicated. It's that way when making the very biggest fights. But they got ironed out in the end like these will. There's too much at stake for all these fighters for it not to happen." Wilder has received some criticism for rejected the deal with DAZN, which some have claimed could be a $100 million multi-fight package, but Wilder is not concerned. “So many people try to dictate my career and tell me, ‘I should do this, I should do that, I shouldn’t do this, I shouldn’t do that’,” Wilder was quoted by the Telegraph. [QUOTE=Scipio2009;19603589]Why the **** would BT Sport pay $50m for a fight that they'd get maybe $20m for at 3am? You keep dancing and tripping over your ****ing feet. [/QUOTE] Nobody said that BT were paying the whole fckn $50million!